How to install an SSL Certificate on Tableau Server? In this article, you will learn how to generate a CSR code and install an SSL Certificate on Tableau Server. By the end of this configuration guide, you will also know a few interesting facts about Tableau Server’s history, as well as where to buy the best SSL certificate for Tableau. If you’ve already generated the CSR code elsewhere, feel free to skip the CSR creation guidelines. Since Tableau Server works with both Windows and Linux, we’ve provided separate CSR generation operating system. Thanks to Tableau Server Manager (TSM) Web UI, the process of installing SSL certs on Windows and Linux systems is the same Use the anchor links below to jump straight to the relevant section. 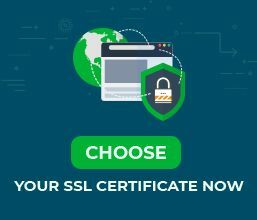 Where to buy the best SSL certificate for a Tableau Server? Tableau Server runs on Apache software, which includes the OpenSSL utility. You can use the OpenSSL toolkit to create a CSR (Certificate Signing Request) and a private key file. You will submit the CSR code to your CA when ordering the SSL certificate. As for the private key, you will install it on Tableau along with the signed SSL files. If you receive a warning that the usr/local/ssl directory cannot be found, ignore this message. Such a directory doesn’t exist on Windows. Common Name: enter the URL that you’ll use to connect to the Tableau Server. For example, if you access Tableau via yoursite.com, then this is your common name. That’s it! You’ve successfully generated your CSR code. You can open it with any text editor such as Notepad. During the SSL order process, you’ll need to send the CSR to your CA (Certificate Authority) to apply for the digital certificate. Tableau Server uses Apache software, which supports the OpenSSL utility. You can use the OpenSSL toolkit to create a CSR (Certificate Signing Request) and a private key file. You will submit the CSR code to your CA when ordering the SSL certificate. As for the private key, you will install it on Tableau along with the signed SSL files. Congrats, you’ve successfully generated your CSR code. You can open it with any text editor such as Notepad. During the SSL order process, you’ll need to send the CSR to your CA (Certificate Authority) to apply for the digital certificate. After the CA signs your SSL Certificate and sends the necessary files to your inbox, download the ZIP folder and extract its contents on your device. Most of the CAs will send you the primary SSL certificate file, along with the CA Bundle or Chain certificate file, which contains the root and intermediate certificates. The CA certificate files must be in PEM format with the extension .crt. In addition to the certificate files, you will also need the private key file with .key extension. Remember, you created the private key during the CSR generation with the OpenSSL utility. Hit Apply Changes and Restart. Congratulations, you’ve successfully installed your SSL Certificate on Tableau Server. After you install the SSL Certificate on Tableau Server, you should run an SSL scan to look for potential errors or vulnerabilities in your configuration. For more info, check our article on the best SSL tools for testing an SSL Certificate. Tableau Software, Inc. is an American software company founded in 2003 by Christian Chabot and Chris Stolte. Tableau specializes in interactive data visualization products focused on business intelligence. Tableau Server is an online hosting platform for privately sharing tableau works, data visualizations and more. Tableau Server allows organizations to understand, explore and manage their data more efficiently and securely. 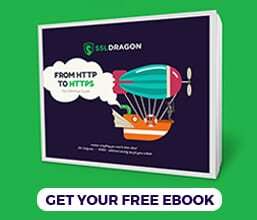 Where to buy the best SSL certificate for Tableau Server?